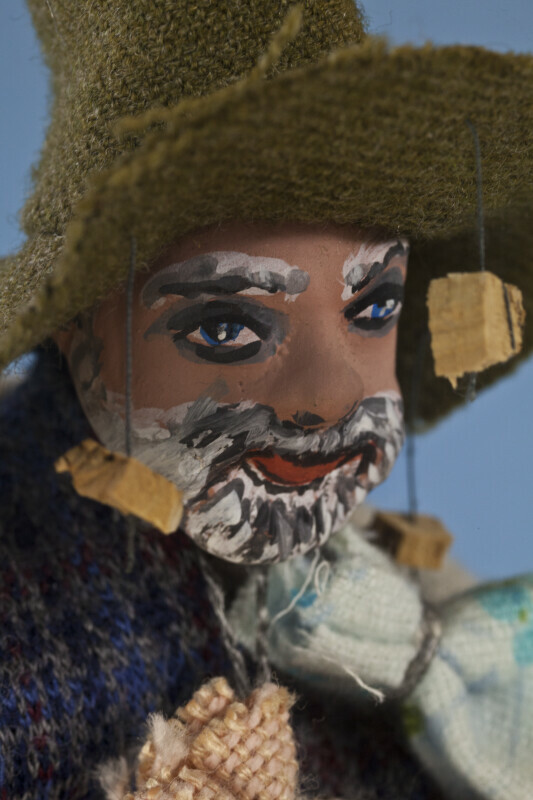 Close up of Australian swagman's face. The clay face is hand painted with eyes, eyebrows, beard, etc. Several small cork pieces are hanging from the wool cat on his head. His swag (bundle) with his clothing is tied around his neck. This figure stands 8 inches (20 cm) tall.